The first thing you should know is that you can’t technically “erase” with vector design. 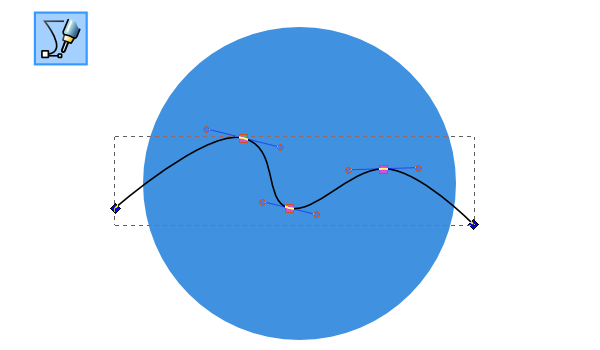 Since everything is based on points and lines, you’ll actually have to add more points in order to give the illusion of erasing. 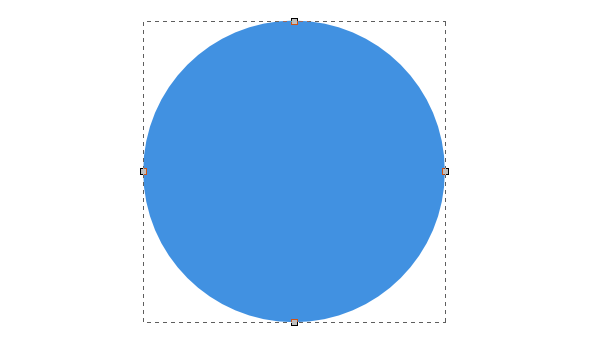 Let’s take this simple blue circle for example, which is rendered by only 4 nodes. 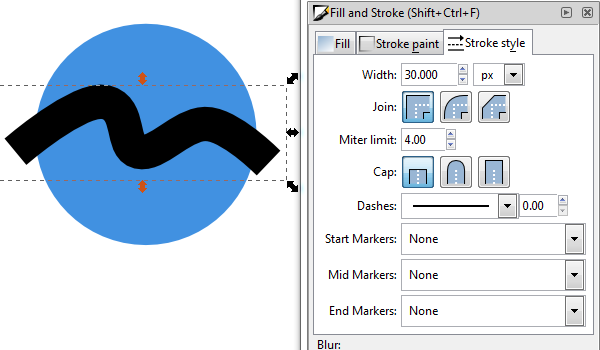 Let’s say you go to grab the Eraser tool, change the mode to Cut out from objects, and set the brush Width: 35. Go ahead and scrub the eraser over the circle and see what happens. Holy cow, look at this monstrosity. 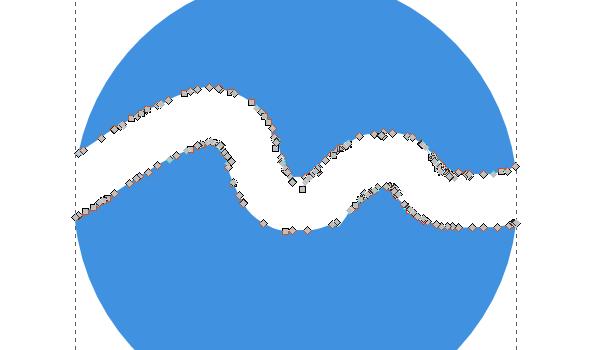 By “erasing”, we actually just added about 100 nodes to our simple circle… and it looks awful. 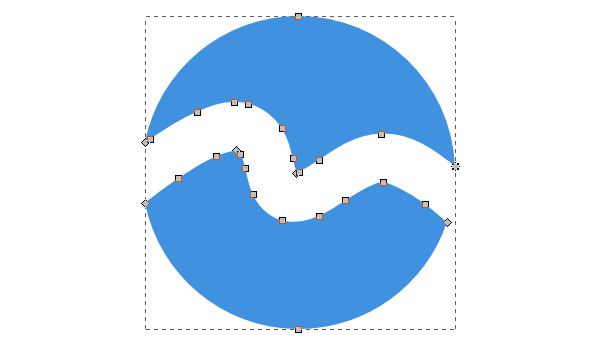 The best way to erase or alter a shape drastically in vector design is to use boolean path operations. 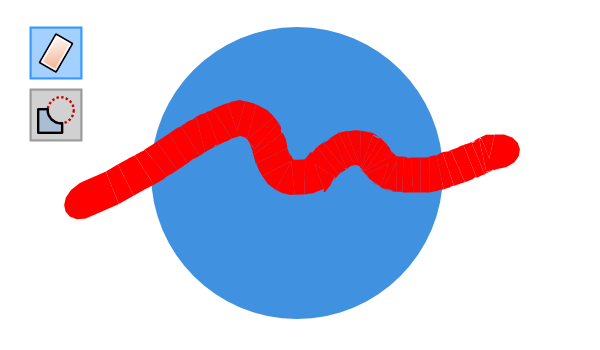 To start this example, we’ll be using the Pen tool to draw a line similar to the previous eraser scrub. You’ll already notice the benefit of being able to adjust your nodes prior to erasing. 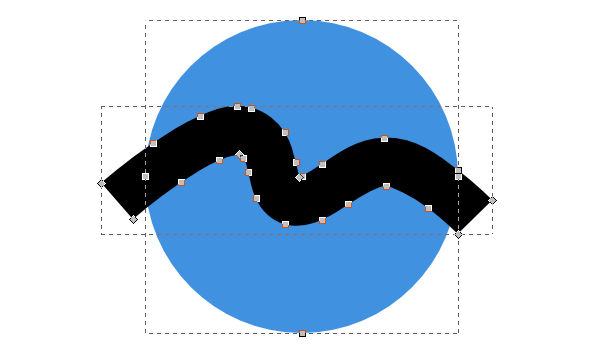 Now, we need to emulate the eraser brush width by adjusting the stroke width. Another thing we need to do to make this work is to select our line and head up to Path > Stroke to Path. Finally, with both the circle and the line selected, go to Path > Difference to make the boolean operation. Below is our new, clean result. Unlike this eraser tool, this method of turning a simple shape into a complex one is done with only a handful of additional nodes. Cool! Boolean path operations may seem a little tricky at first to accomplish something as simple as erasing, but it’s truly very easy to get used to. You’ll also start to fashion your shapes and designs more cleverly as well (to avoid erasing, clipping, etc). Thanks for reading!